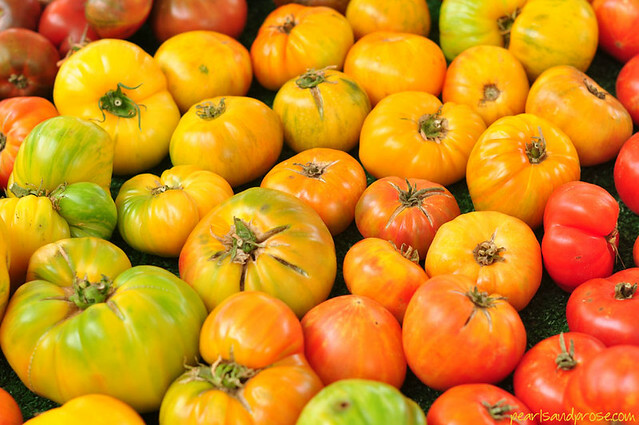 I never knew heirloom tomatoes came in so many colors. Love the contrast provided by the aqua-colored bin. 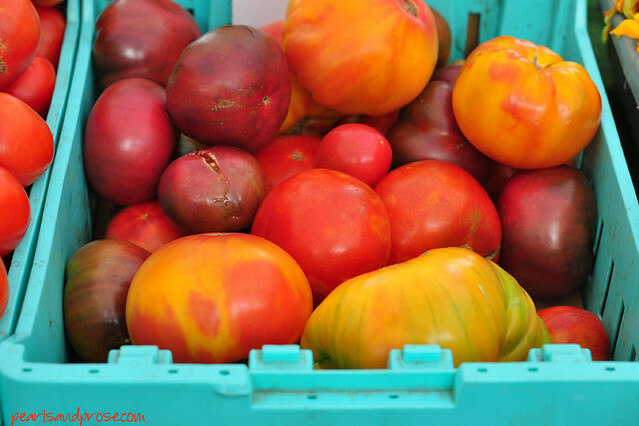 Heirlooms are even beautiful in a plain cardboard box. 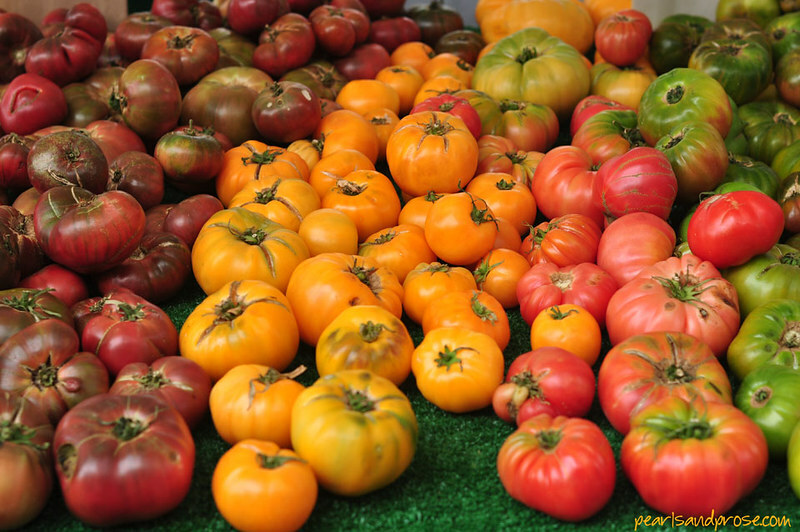 This entry was posted in photography and tagged California, farmers market, heirloom tomatoes. Bookmark the permalink. So true, Jackie. 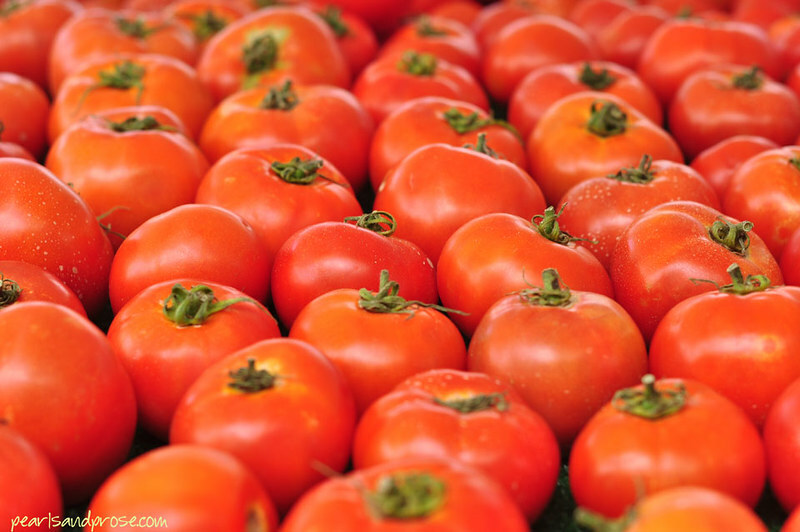 Add a little mozzarella cheese and you’re set. 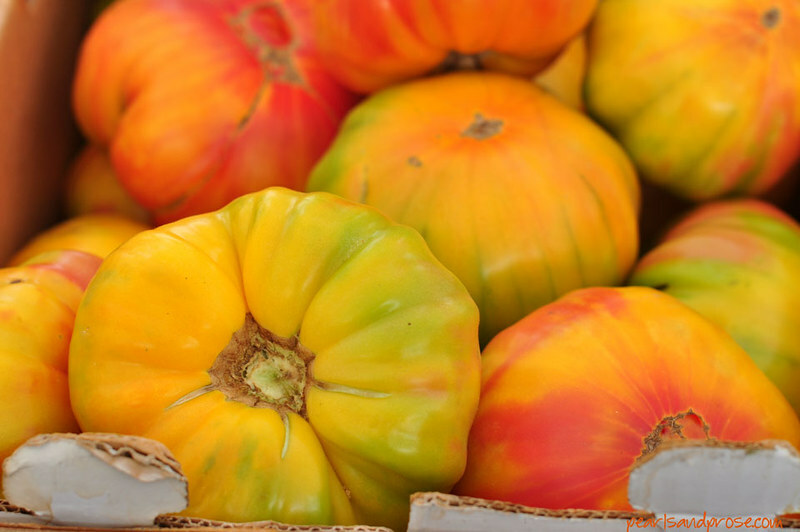 Had not heard specifically of “heirloom tomatoes” before, and certainly not of so many different colors for one class of humble tomato. Great colors! I feel a deep reverence for such blessings ! Gorgeous pictures ! You write the loveliest comments … thank you! 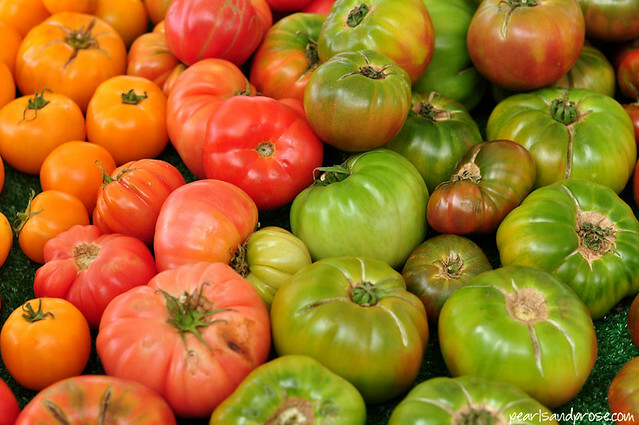 So many different tomatoes and they all taste different as well.. I haven’t take one single market photo in Italy. I should have. There were some splendid sights. It’s been so long since I was in Italy, I don’t remember the markets at all. I’m sure they are amazing, as the food is spectacular there. Hope you had a wonderful time in Venice, Caroline.